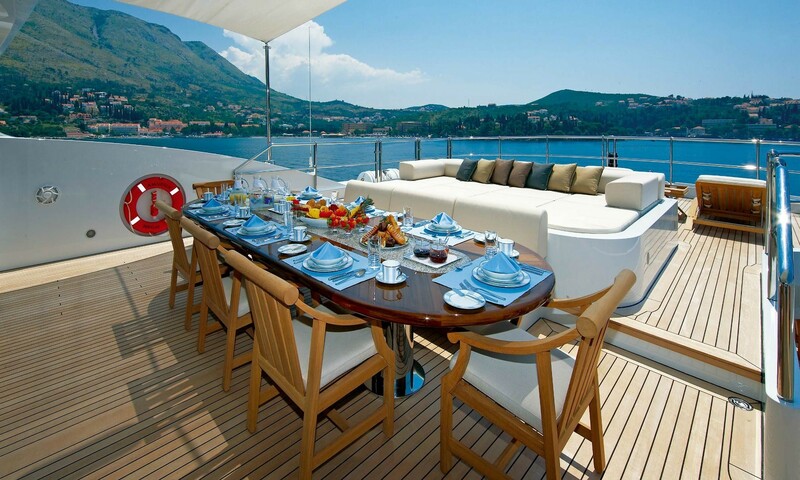 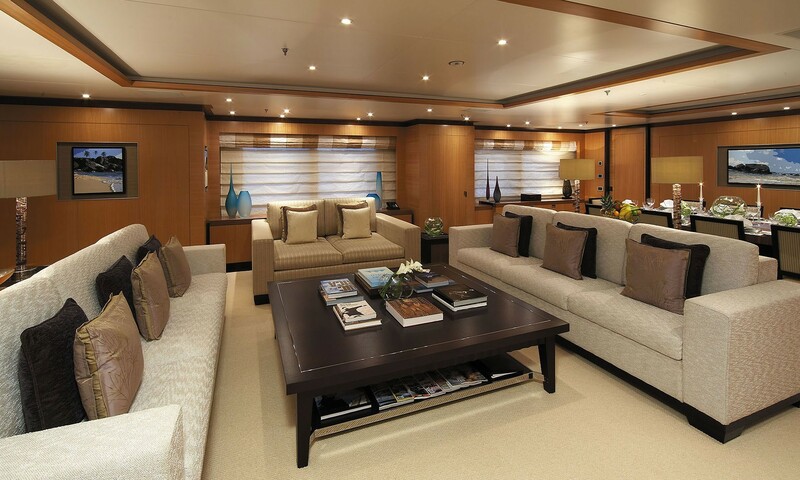 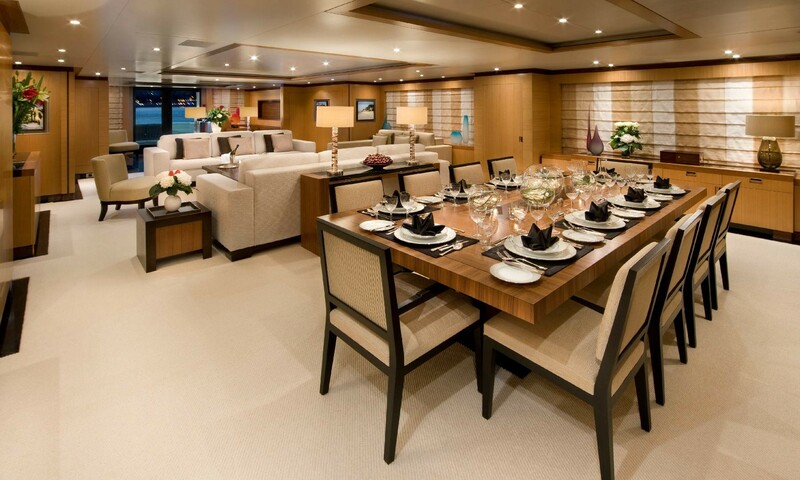 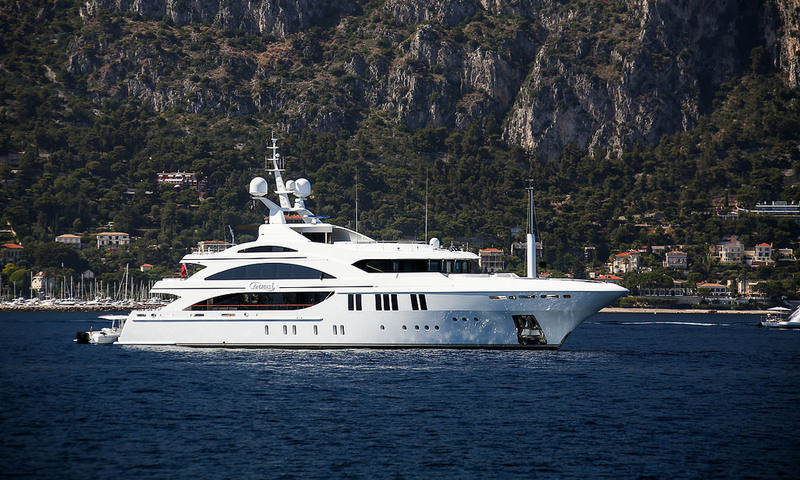 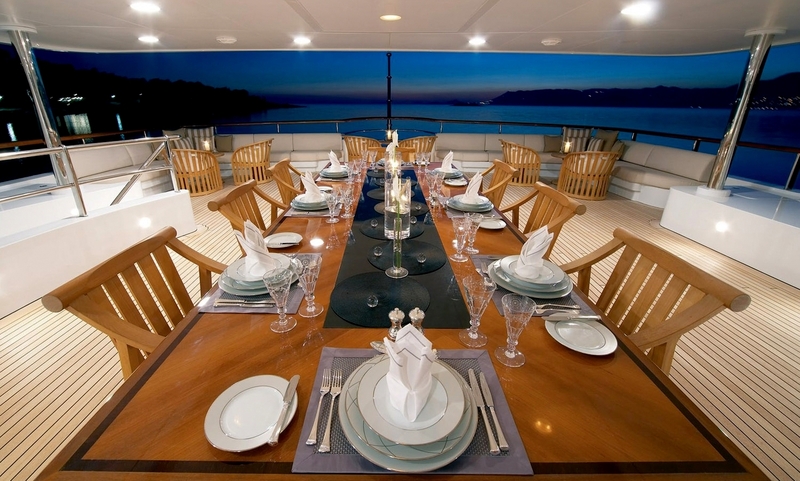 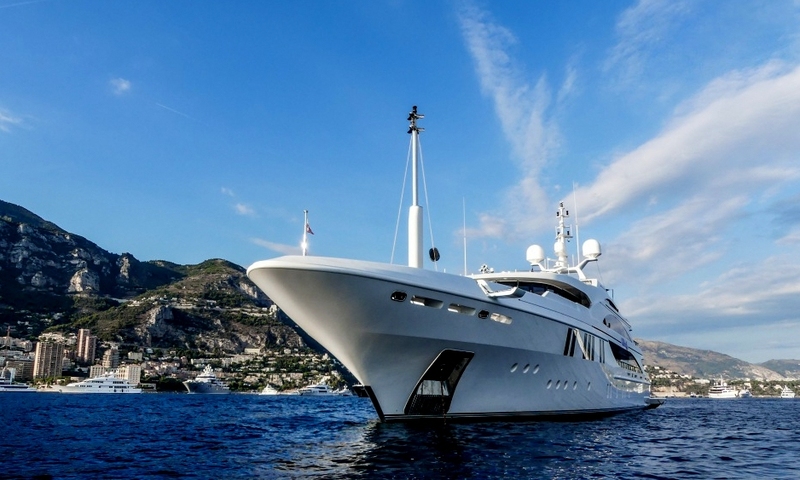 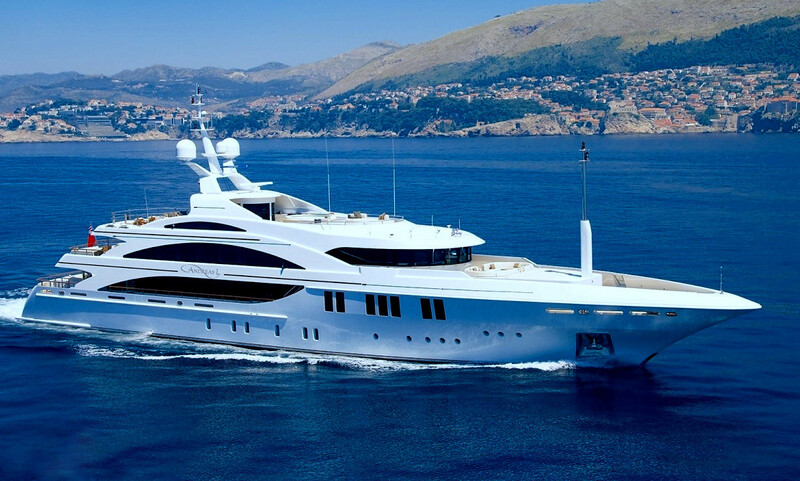 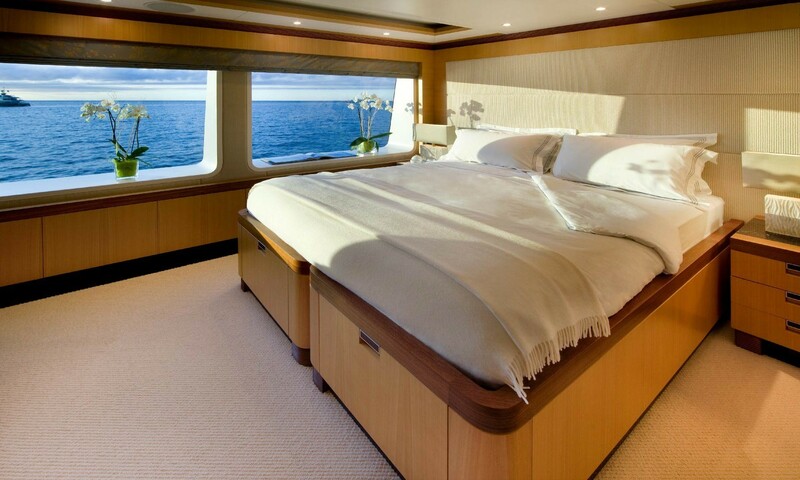 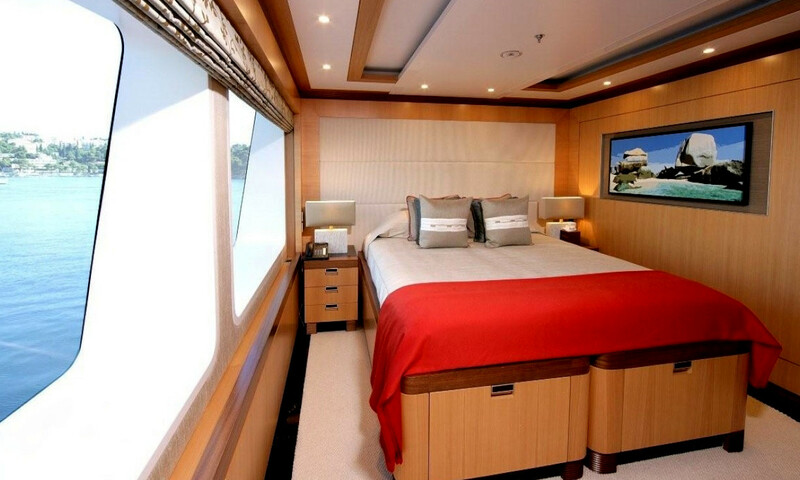 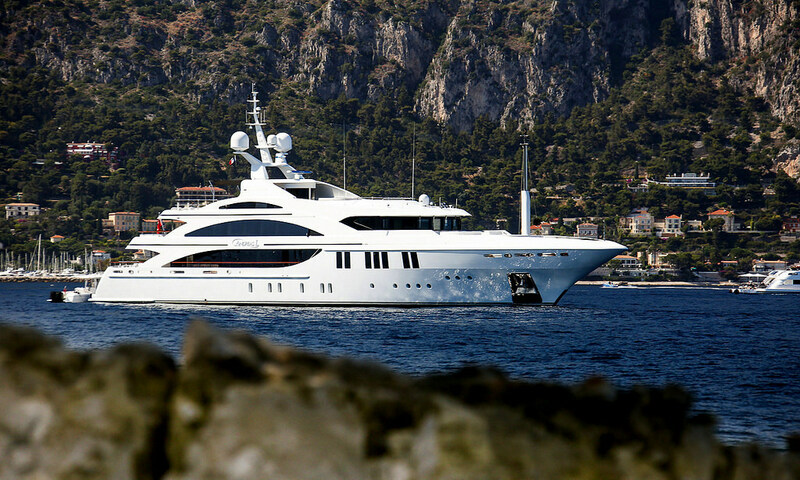 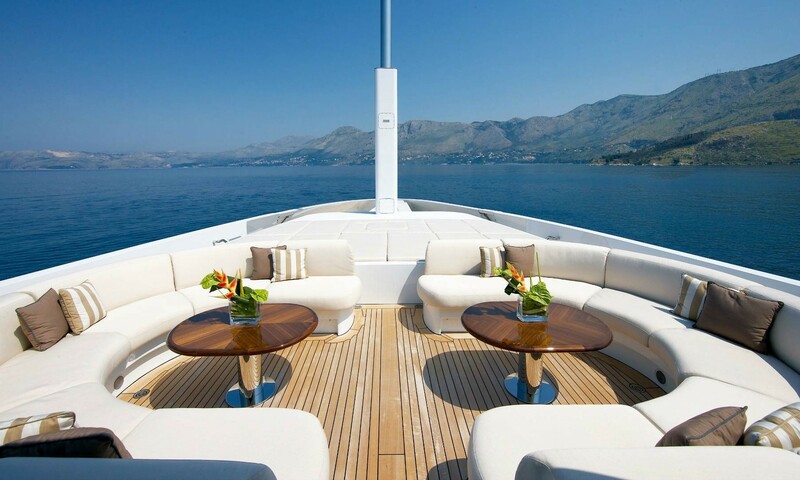 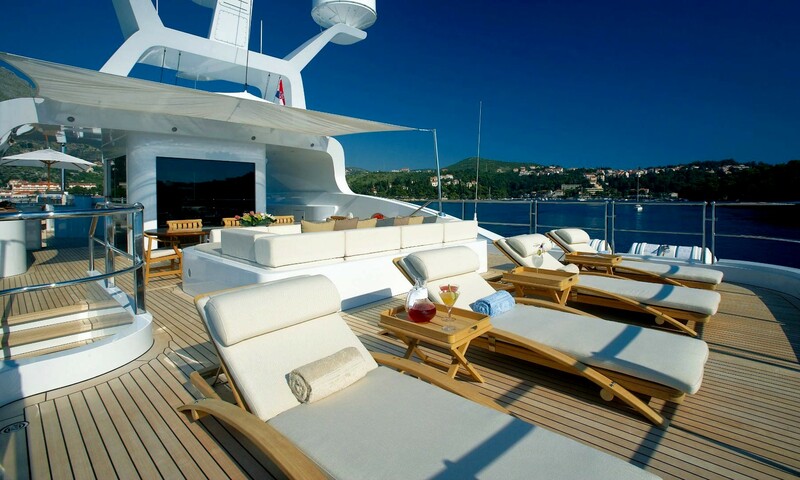 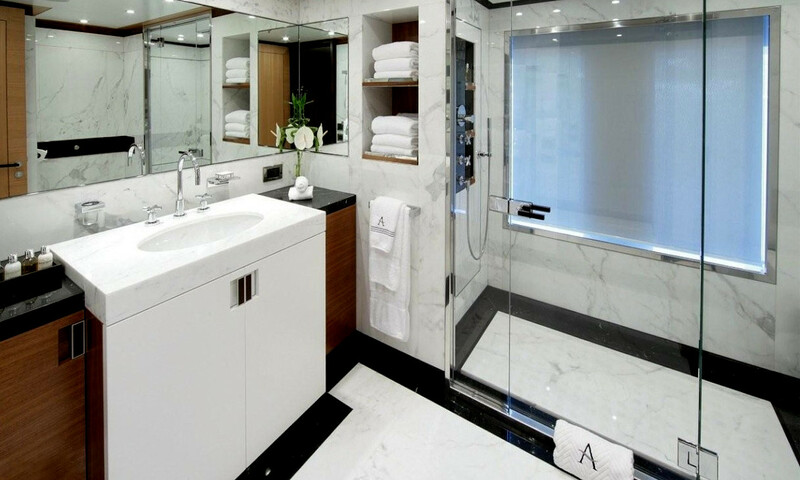 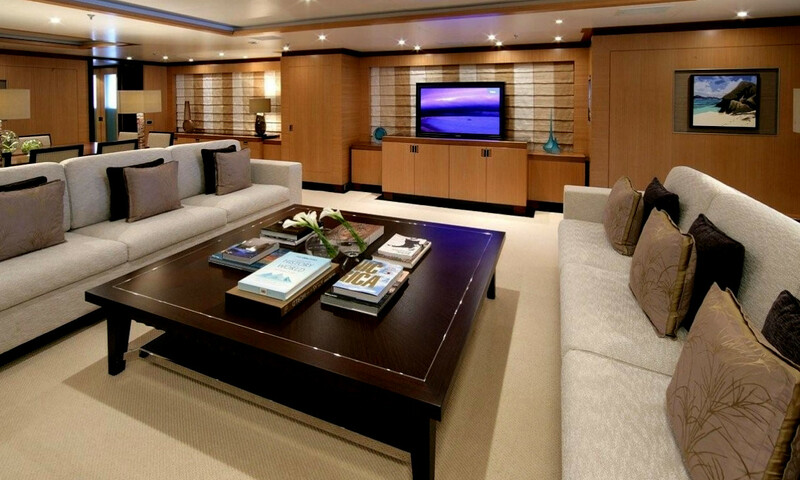 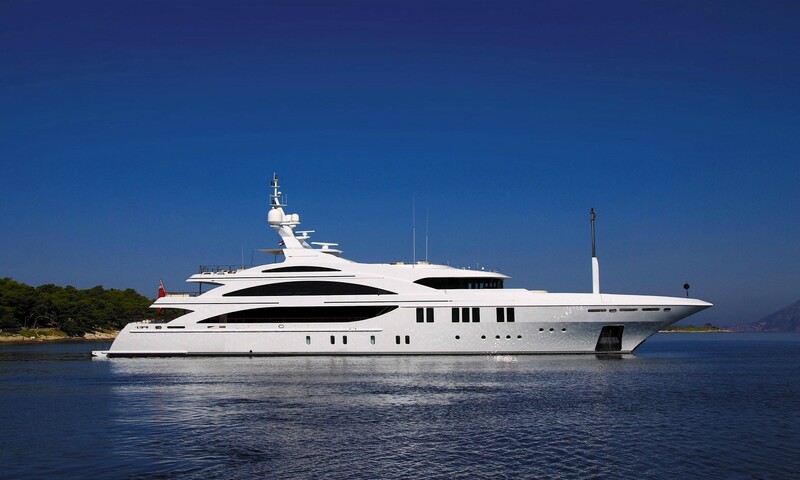 Managed by an onboard concierge, Andreas L is the finest of the highly-regarded 60 metre Benetti yachts. 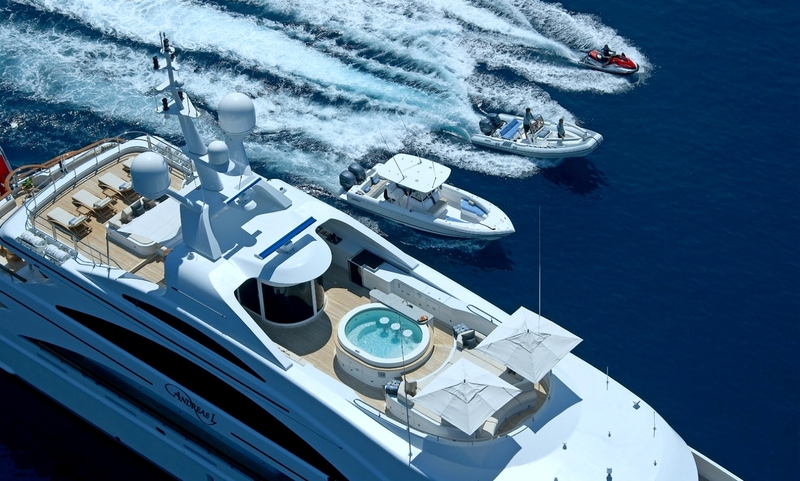 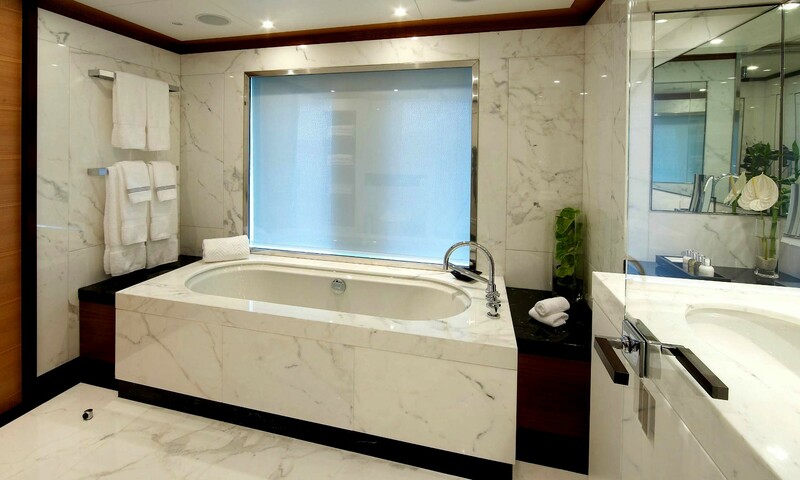 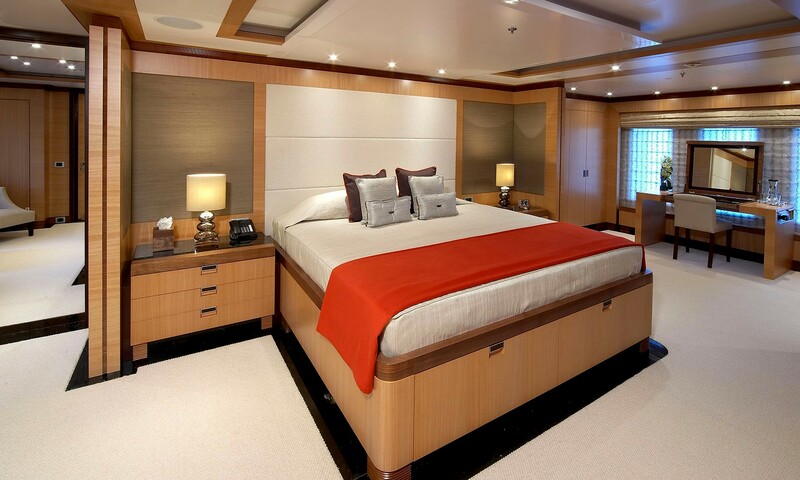 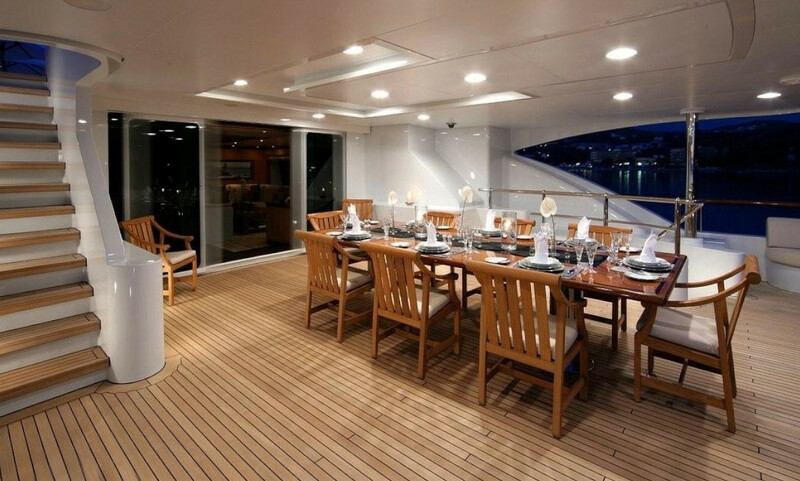 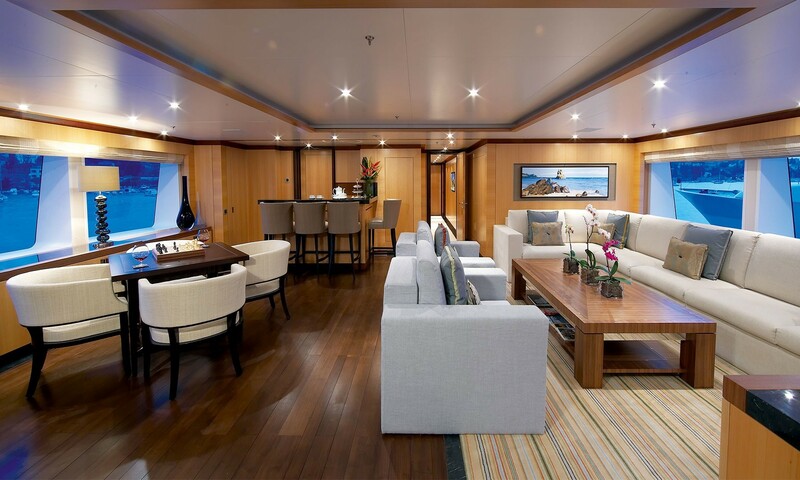 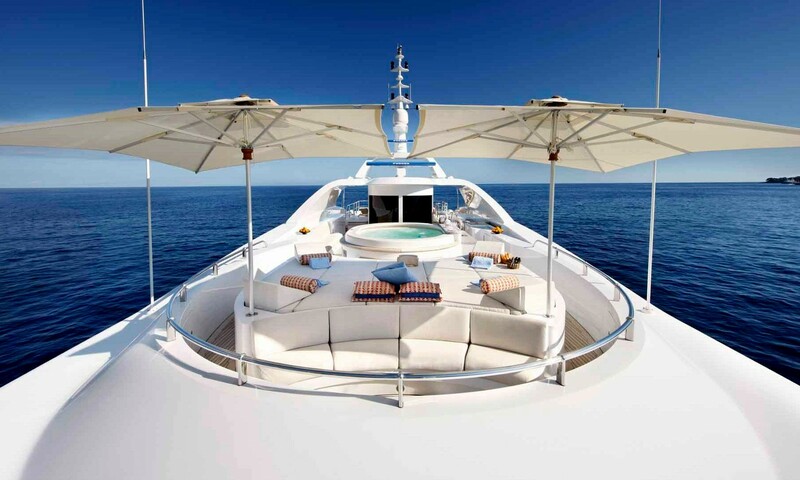 Her sun deck extends to over 50 per cent of the yacht’s length and provides enough space for a forward Jacuzzi pool and an aft deck dining area both of which have substantial sunbeds; an air-conditioned gymnasium is set between the two. 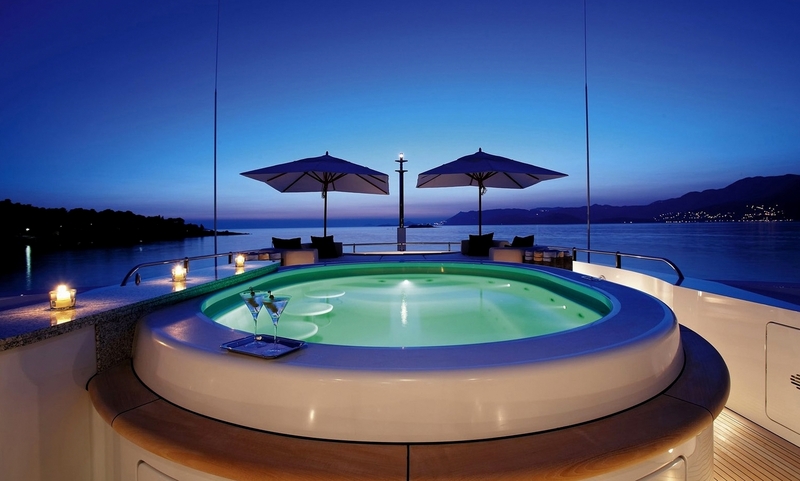 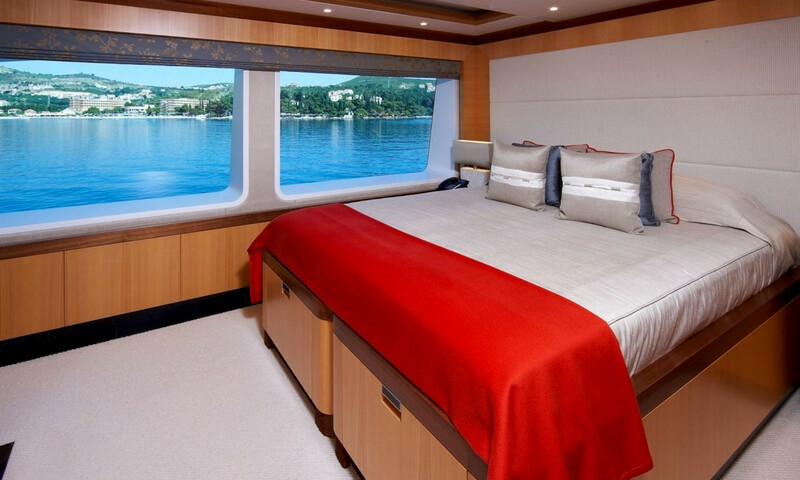 This is a yacht that believes you can never have too much outdoor space with an even larger sunbed forward on the bridge deck. 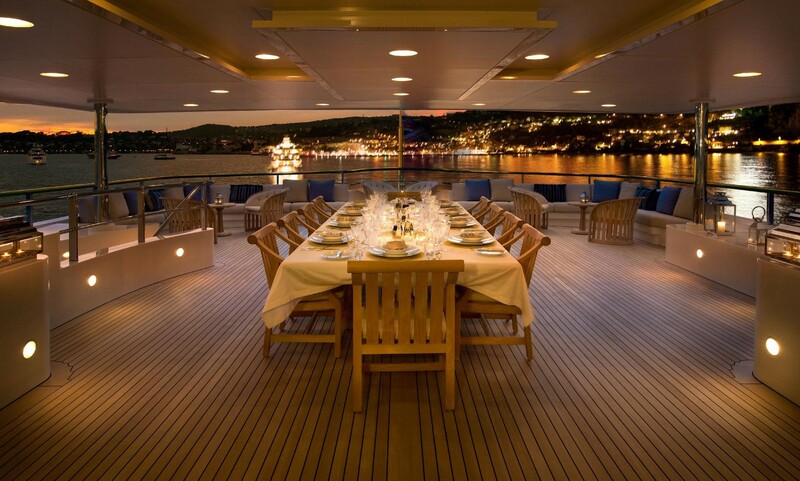 The result is a multi-level floating resort where twenty or more guests can be entertained – dining in different places, relaxing in conversation, sunbathing or making use of an astonishingly eclectic collection of sports equipment that includes beach cricket.